Let’s do a thought experiment. Here’s the scene: It’s 1934, a decade less and less dominated by the powerful poetic voices of the near-50ish T.S. Eliot and Ezra Pound, those enfant arbiters who initiated the modernist movement in the Anni Mirabiles years of a decade ago, and more and more by the 20-something new generation of W.H. Auden, Stephen Spender, and other politically committed intellectuals of their circle. W.B. Yeats, the 1923 Nobel Prize winner, is at age 69 an honored but increasingly distant master. Serious readers of poetry (yourself in this experiment) follow both these Modernist original and new generation writers, but their tastes are still satisfiable by the traditional formalist modes they grew up with. These trends, old and new, show in the major published work of this year, which includes Edna St. Vincent Millay’s Wine From These Grapes and James Agee’s Permit Me Voyage, but also Auden’s Poems (2nd edition: 1933 in Britain, 1934 in the USA), and Spender’s Vienna. The presence of the elders shows in William Carlos Williams’ Collected Poems 1921-1931, and in the unchecked and random dynamism of Ezra Pound, who publishes Homage to Sextus Propertius, and ABC of Reading, but also the often-unhealthily obsessive Eleven new Cantos: XXXI–XLI, the subjects of which include Jefferson, Adams, and other American founders, the American banking system and coinage, and various unpleasant anti-semite references; in a few years his political apocalyptic will overtake his poetry, and he will envision himself as a political theorist and world savior. He is moving toward crackpot status, already almost but not quite dismissible. And you think: What is this? Who writes like this? No one, is the answer, and no, don’t bother looking around because there is no one to tell you what this is, and there is no possible appeal to authority or precedent, because nothing like this is being published even in this poetically varied year of 1934, or for that matter in any other year in your reading experience. Even today, 80 years on, the words of this stanza strike a reader as new, different, with images that are collage-strange, that come into these six lines from so many directions, with no direction about the psychic or geographic place or about the speaker—and so no answers to the questions, who are these boys who are referenced as the subject of the poem? what are “gold tithings”? who is speaking and what is seen? For that matter, although so many of these words are visual nouns and adjectives—“gold,” “apples,” “soil,” “girls,” “frozen,” etc.—can they actually be said to describe a scene? Can we visualize it? Is it even visualizable? There are hints that something is there, a scene, or at least, that there should be a scene, and there is a tone that suggests we should be able to see it, but… what is it? Even in this first reading we can sense tremendous force, an intense compression of the lines, drawing in many themes and setting them off against each other, although we may still wonder about what action is being described. What does it mean, after all, to say that someone lays “the gold tithings barren”? And in what sense are these boys “ruined”? The verbiage seems to suggest that the sighting happens in present tense, that they are ruined now, and yet there are ambiguities in the phraseology: does the speaker mean that they are ruined later as they age, or that they are ruined later in some way, that is, that they are still young and still boys of summer, but ruined ones? As we move through the poem from unsettling image to image, from winter floods and frozen loves and girls who are fetched (different than the frozen loves?) we come to the final line about “cargoed apples,” which we can sort of understand if we take it literally, as this is the Depression, and crops were sometimes dumped to insure higher prices for the remainder at market; but then, what does the Depression crop-dumping have to do with girls and tides and gold tithings? Nice as those auditory assonances may be (tides and tithings, girls and gold, etc. ), do they tell us anything? Move us somewhere? The questions pile up as we notice something else, how much at the level of the images and the words is concatenated in these few first lines: heat and cold, wet and dry, love and sterility, games (apple-bobbing, “fetching”) and death, creation and destruction. This is not a full encyclopedic run of all available poetic and thematic possibilities, but it is certainly broader than most of what we encounter in a single stanza in a single poem. We notice too that these lines scan like older poetry but read like new poetry, even if like poetry bitten by madness (to play a variation on Jacques Maritain’s wonderful “Art bitten by Poetry longs to be freed from Reason”). These lines are strange, even unsettling, but our sense of confusion may be allayed somewhat by the certainty of the tone, the definitive rhetoric of the stanza that says that this is exactly what the poet means, that he is not confused, that he knows what he is saying to us, and he means to say it. And so we think, there is sense here, there must be, the poet seems to insist on it, and so we just have to find it, to open ourselves to it to grasp it. But it is strange! There is no father to this, no predecessor. Seamus Heaney has said that “Others may have written like Thomas, but it was never vice-versa.” I would amend the first part of his statement only to say that others have tried to write like Thomas, but I know of no one who succeeded past a few lines or parts of a poem or two. It should not be surprising that none of this unavoidable perception of difference and obscurity would help sell the book. Quite the opposite: It took two years for that first edition of five hundred copies to sell out, making it no success, but in fairness, not a total failure either, at least in terms of poetry book sales. Perhaps the publishers expected some such outcome, for they bound the book prudently, in two sets of 250 each, not binding the second until the first had sold out. The good news for the poet was that the book was widely reviewed, and noticed by older established poets and critics, including T.S. Eliot, and by some of the prominent younger ones, like Stephen Spender. Today, of course, the book is famous, a collector’s item. You can buy a good first edition for around $900 (or $500 of you ca be content with the second binding), and you can buy an original from the second printing by its second publisher, the Fortune Press (London, 1942) for around $200. I’ve been reading through 18 Poems, trying to recover my initial experience at encountering these poems some decades ago, and finding it surprisingly not hard at all. When you enter their world, their power shows immediately, even aggressively: They are meant to be experienced that way. From the first line you read you are taken in and you live inside the poem as if there was no other world, and no other words or language but these on the page before you, for nothing else is possible in the moment of your reading. Stepping away, putting down the book, it comes to you how stunning it is that a 20-year old could have written so many of what we now regard as masterpieces: “I see the boys of summer,” “The force that through the green fuse,” “Before I knocked” (of which Heaney has said it “breaks the print barrier”), “Light breaks where no sun shines,” and many others. They share an extraordinary quality, presenting themselves as sui generis, and yet also as familiar and inevitable. The words, that is, feel inevitable, as if they have been there a long time, and yet we are conscious at the same time of how new they are, coming to us this way. Where does this come from? How do poems like this even get to the page? I’ve been thinking a lot about the mysterious process of how poems come into being, and want to talk in this essay about what I think is part of that process, the way that frictional elements can sometimes help a poem along—that is, items that are not the source of the poem or of the poetry, but are the tiny pieces, some words, or a scene, the somethings, that help in its development, which for one reason or another lodge in the imagination and work there like the bit of sand in an oyster that helps produce the pearl. And there is also related item, a way of thinking about or validating the mode and construction of the created object, that gives license to how the thing is conceived and put together, an environmental piece that helps define and protect the final output. Both of these pieces lurk behind and around this first poem in the book, and indeed around the book as a whole. One of them is from W.H. Auden, and one from T.S. Eliot. One Thomas embraced and used to strengthen and articulate his approach to his poetry, giving it a safe space in which to develop and mature; and one he also used but resisted, derogated, and denied, even as he admitted to its importance, almost as if he resented its influence. The Eliot contribution to Thomas came in his criticism, in the early 1930’s books Selected Essays and The Use of Poetry and the Use of Criticism. These were so helpful to Thomas that he cited passages from them often in letters and interviews as a justification and philosophical underpinning to his methods. They validated and created the environment in which his poems could thrive, and he recognized that and was grateful for it, for he needed it. But with Auden he had a different and deeply conflicted relationship. Auden’s voice, structure, and poetic is influential in this first poem and throughout the book. 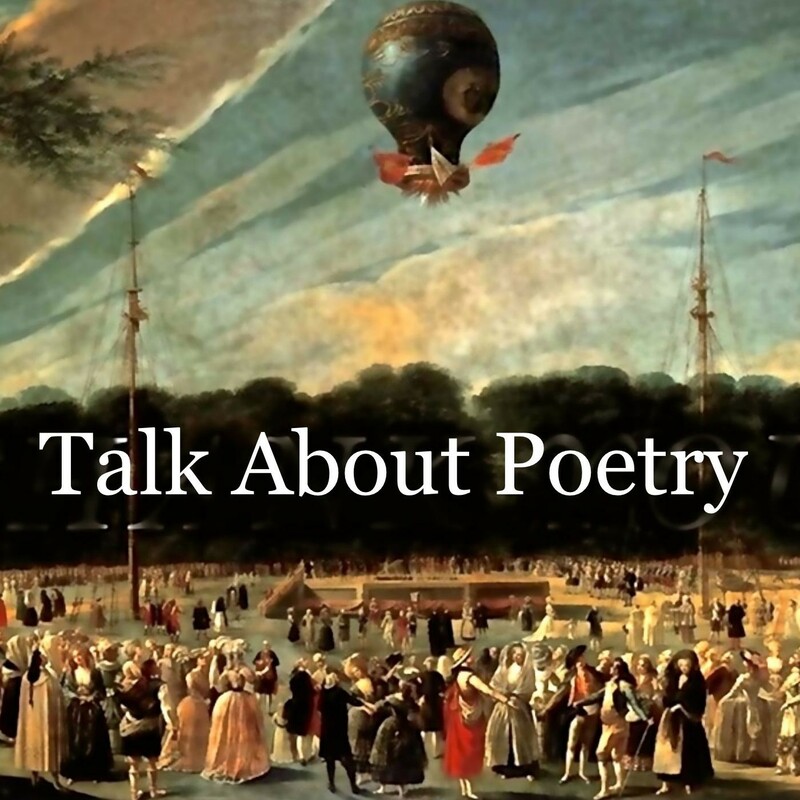 Thomas tried in various ways to differentiate himself from the other poet, and to deny his influence, and I will show some ways in which he tried to do this. I want to be clear about this. These other items and authors do not create the poems, and they are not the motive or the force that makes the poem in the end definitive for its author and for us; and there is in any case no reason for them to be acknowledged, either in the poem or anywhere else, after the poem is completed. Think of their relationship to the poem, if you will, as similar to that of the angel that appeared to Caedmon and ordered him to sing the creation of the world; after which, following the command, Caedmon sang of the glory of the world, but not of the extraordinary appearance of the angel, whose holy instigating presence we know of only because Bede, the great historian and Doctor of the Church, told us so in his Ecclesiastical History of the English People. All the words [in Watkins’ poem] are lovely but they seem so chosen, not struck out. I can see the sensitive picking of words, but not the strong inevitable pulling that makes a poem an event, a happening, an action perhaps, not a still life or an experience put down…They [the words] seem, as indeed the whole poem seems, to come out of the nostalgia of literature…A motive has been rarefied; it should be made common. I don’t ask you for vulgarity, though I miss it; I think I ask you for a little creative destruction, destructive creation. I am taken by his phrase about the words needing to seem a “strong inevitable pulling that makes a poem an event, a happening, an action perhaps, not a still life or an experience put down.” This is as good a description of the authority that a poem’s truth can command as I know, written by someone who clearly understands what that is and why it is important, and why it must always stand in opposition to the “still life or an experience put down.” Thomas spent many hours working in the service of this vision of truth in poetry, seeking to find it and to make his poems different than those of others writing at the time; his letters are full of references to the insufficiency of the 30’s poems he read, and contain sharp asides on Auden, Spender, Cecil Day-Lewis, and others. He said, for example, in a 1934 letter to Glyn Jones that “I like to read good propaganda, but the most recent poems of Auden and Day-Lewis seem to me neither good poetry nor propaganda. A good propagandist needs very little intellectual appeal; and the emotional appeal in Auden wouldn’t raise the corresponding emotion in a tick.” This is judgment functioning as differentiation, a way of creating a boundary between what he was doing and what they were doing. Of Spender he wrote, “I find his communism unreal; before a poet can get into contact with society, he must, surely, be able to get into contact with himself, and Spender has only tickled his outside with a feather.” Again, the judgment, if sincere, can be made only by one who has in fact been in contact with himself; for if this is not a criteria yoked to one’s own aesthetic, then it is fatuous and narcissistically self-indulgent. To say it to another who knows you is to invite rebuke and embarrassment. It may also be worth noting how odd it is to suggest that the reality of communism is only possible to a poet who is truly in contact with himself; as judgment, this overwhelms its occasion. But Auden, it was Auden he came back to, to both praise and criticize, for Auden was the big one, the one he could measure himself against, the one he could learn from, the one he never wanted to be compared to. He had to be different. His vision was different, and he was charting a new way. And for all his protestations and critiques of Auden, Thomas was influenced by him in ways which he knew and understood and so perhaps thought he must fight against. His literary relationship to the other poet was problematical, even passive-aggressive, at the same time deeply admiring and carefully distant. You can see it in his piece in the 1937 New Verse magazine’s salute to the poet: “I sometimes think of Mr. Auden’s poetry as a hygiene, a knowledge and practice, based on a brilliantly prejudiced analysis of contemporary disorders, relating to the preservation and promotion of health, a sanitary science and a flusher of melancholies. I sometimes think of his poetry as a great war, admire intensely the mature, religious, and logical fighter, and deprecate the boy bushranger.” This is praising, somewhat, but also catty, something one might say of a wartime environmental engineer given to writing with a florid streak who keeps a very neat office. He says nicer things about Auden in the following paragraph, that he is “wide and deep,” is “potentially productive of greatness” (note that “potentially”!) and that “He makes Mr. Yeats isolation guilty as a trance,” a nice two-fer of a joke. And then he ends his short piece by congratulating Auden on his 70th birthday—another joke: Auden at the time was 30 years old. The young dog keeps jumping forth uninhibited from the 20-something poet and doing something not quite respectable right there in the plain sight of God and man and everyone. At first glance, this seems an odd place to find inspiration. Written in 1930, the poem is oddly dull for the Auden of these years, and to me reads as mechanical, even lusterless. Auden undertakes this kind of apocalyptic and cynically urban posture so much better in so many of his other poems that this seems not only unfulfilled but unfinished, as everything here, even the cliches, seem weary and not so much placed as dropped here by someone passing by: “where the money is made but not spent,” “the game is up,” “it is later than you think.” And the absurdist caricatures of people who “pace in slippers on the lawns,” who are “prey to fugues, / Irregular breathing and alternate ascendancies,” and so forth, seem set here from some other place, a better poem perhaps, or from discarded lines from some other writing. I can’t imagine that Thomas, so hungry for excellence and so quick to judge his contemporaries, found much to admire in the poem as a whole. Auden must have agreed, as much of the poem was rewritten for its appearance in his Collected Poems (Vintage, 1991), dropping the financier and the slippers on the lawn and other distracting elements altogether. There are other echoes from Auden in this poem and in this book. Some have suggested, for example, that the line in the first stanza about cargoes apples may reflect, in addition to market practices, the influence of Auden’s line, “Hearing of harvests rotting in the valleys,” from the villanelle “Paysage Moralisé.” There may also be learning structural techniques from poems such as “It was Easter as I walked in the public gardens,” or “The Witnesses.” For our purposes it is enough to say from the evidence that Thomas read Auden’s poems thoroughly and in depth, and found in one of them a line that created a response or variation—created something that was transubstantiated by the poetic imagination to the new thing. Now I need to add this cautionary note: That this is poetry, and involves people, and so there is no one-to-one correspondence, no argument being made that Auden’s dross became Thomas’ gold. We are all of us more complex than that, and God knows, poetry is more complex. Nor is this some kind of argument about Bloomian “influence,” or outright theft or even a more subtle borrowing; Auden’s ruined boys do not “become” Thomas’ “boys of summer.” Rather the imagination of the poet encountered something that set it working on this image of ruined boys and this context or narrative of the poem until it became something else in this new poem. To return to an earlier image I used to describe this process, the Auden line is the grain of sand that becomes the line of poetry that launches in the first line of this other poem. What I call the “auditory imagination” is the feeling for syllable and rhythm, penetrating far below the conscious levels of thought and feeling, invigorating every word; sinking to the most primitive and forgotten, returning to the origin and bringing something back, seeking the beginning and the end. It works through meanings, certainly, or not without meanings in the ordinary sense, and fuses the old and obliterated and the trite, the current, and the new and surprising, the most ancient and the most civilized mentality. Remember Eliot: “The chief use of ‘meaning’ of a poem, in the ordinary sense, may be to satisfy one habit of the reader, to keep his mind diverted and quiet, while the poem does its work upon him.” And again: “Some poets, asking that there are others minds like their own, become impatient of this ‘meaning’ which seems superfluous, and perceive possibilities of intensity though its elimination’…. Much of the flat, abstract poetry of the present has no narrative movement, no movement at all, and is consequently dead. There must be a progressive line, or theme, of movement in every poem. The more subjective a poem, the clearer the narrative line. Narrative, in its widest sense, satisfies what Eliot, talking of “meaning,” calls “one habit of the reader.” Let the narrative take that one logical habit of the reader along with its movement, and the essence of the poem will do its work on him. Note the distinction: Narrative is the instrument that works upon the reader while the “essence of the poem” does its work on him, suggesting that narrative is not the essence. That essence is the thing that Thomas learned from or had confirmed by Eliot, and which is described as the “auditory imagination” in the quote above. The phrase is from Eliot’s essay about Matthew Arnold. Eliot admired Arnold’s The Study of Poetry, but demurred from the other’s description of the “life” of a poem. He thought that it did not go deep enough, an infirmity, as he saw it, so serious as to render judgment on the great Victorian: “He had no real serenity, only an implacable demeanor.” This is a devastating judgment by itself, but Eliot went further, saying that he sensed a lack of confidence and conviction in Arnold, tied to this imperfect sense of the life of a poem. You can see why Thomas would have found the quote and the sense of poetry it offered so appealing, to say nothing of the judgment in those lines. Promise joins ruin: The boy is the promise until he becomes the man, at which point destiny limits all choices, and each person enacts the life that has gone before. This is the point at which the poles of life kiss as they cross. This is an incredible, masterful, wonderful poem, fun to read at the level of the “auditory imagination,” and even more fun to listen to in readings by Thomas and also, in an amazing reading by Richard Burton. Each reading tells us something new about the poem. Each approach releases something else in the magic of this classic poem, and of the poems in this book. Read them yourself and experience how the power and the magic of these poems remains so fresh and overwhelming, despite many readings. Something always comes and surprises. I have several debts to pay for sources and authors who helped me along the way or suggested readings and interpretations for this essay. They are John Goodby, Under the Spelling Wall (Liverpool: Liverpool University Press, 2013); Seamus Heaney, “Dylan the Durable? On Dylan Thomas,” (Salmagundi No. 100, Fall 1993); William York Tindall, A Reader’s Guide to Dylan Thomas (Farrar, Straus and Giroux, Inc., 1962); New Verse, “Auden Double Number,” November 1937; Adam Kirsch, “Reckless Endangerment The making and unmaking of Dylan Thomas,” The New Yorker, July 5, 2004; Andrew Lycett, Dylan Thomas: A New Life (Overlook, 2003); The Poems of Dylan Thomas, ed. and intro Daniel Jones (New Directions, 1971) and The Notebooks of Dylan Thomas, ed. and intro Ralph Maud (New Directions, 1966). For quotes from or about Auden, I have used the wonderful The English Auden Poems, Essays and Dramatic Writings 1927-1939 ed and intro Edward Mendelson (Faber and Faber, 1977). The T.S. Eliot quotes are from Selected Essays (Harcourt Brace 1932) and The Use of Poetry and the Use of Criticism (Faber, 1933).